Paul Anderson has been a music educator and has served the IHS on the Advisory Council, as secretary and president, and by setting up the early IHS computer system. Paul received a Bachelor of Arts degree (1945) and a Master of Arts degree (1947) from the University of Iowa. At UI, he studied horn with the very capable William Gower. He taught horn at the University of Iowa for over 40 years (1948-1989), performing with the University Woodwind and Brass Quintets, and playing principal horn in the Tri-Cities (now Quad-Cities) Symphony in Davenport IA. During his first years of teaching, he also traveled to Evanston IL to study horn with Philip Farkas. Reflecting on what he received from Farkas and Gower, Paul says, "I owe these two wonderful gentlemen more than I will ever be able to explain." Later, Paul was the administrative head of the Brass and Woodwind areas in the School of Music at UI for a number of years before his retirement. Along with various other duties, Paul’s main job was to teach private lessons to the horn students, and he had many fine students throughout his tenure. Many former students hold important teaching jobs in universities around the United States and Canada, and he also had many hard-working students that were uniquely qualified for public school teaching. Paul's legacy also includes two publications: Index to Current Brass Literature (1976) and Brass Music Guide: Solo and Study Material in Print (1986). He prepared the computer programs for the last three Instrumentalist Band Music Guides, and helped to prepare the University of Iowa’s Music Source Book: Woodwind, Brass, and Percussion Materials. Paul supervised many horn-related graduate dissertations, and his former doctoral students include several current and past Advisory Council members and IHS Presidents, including Randall Faust, William Scharnberg, and Virginia Thompson. Two other great horn players and IHS members received doctoral degrees at the University of Iowa during Paul’s tenure, James Winter and Marvin Howe. While Paul does not feel he can claim them as his students, he says he learned a great deal from his association with them during and after their study at UI. 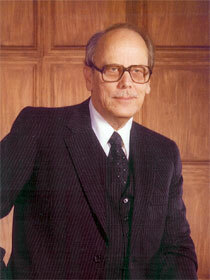 Paul served on the IHS Advisory Council from 1977 to 1983. During that time, he was IHS Computer Coordinator (placing the membership rolls on computer and generating mailing labels), Secretary, and from 1980-1983, IHS President. During that era, he was responsible for the codification of many policies that are in place today. He was elected an Honorary Member in 2001. When contacted about receiving this award, Paul said, "I want to thank the committee members who selected me as an Honorary Member of the International Horn Society. Since its inception, the IHS has selected only about forty people from fourteen countries to this position so it is truly a great honor to be so selected. When I read the names of the other people who have been so honored, I feel very humbled. I shall cherish this appointment as long as I live."